ICC Switzerland ist entschieden gegen die Selbstbestimmungsinitiative. Sie ist kontraproduktiv für alle Unternehmen, welche aus der Schweiz international aktiv sind und entscheidend zum Wohlstand unseres Landes beitragen. Es ist wichtig, dass am 25. November ein wuchtiges NEIN zur SBI in die Urnen gelegt wird. Bekanntlich verdienen wir Schweizerinnen und Schweizer unseren Wohlstand auch im Ausland, und zwar nicht nur durch Exporte, sondern auch durch Investitionen. ICC Switzerland bildet als Schweizer Nationalkomitee der Internationalen Handelskammer (ICC) die Brücke für unsere Unternehmen zur globalen Wirtschaft. ICC ist in über 90 Ländern vertreten und tritt seit 100 Jahren für gute internationale Rahmenbedingungen zu Gunsten aller ein. Gerade im Investitionsschutz sind Vertrauen, Verlässlichkeit und transparente, berechenbare Rahmenbedingungen von grosser Bedeutung. Der Investitionsschutz steht jedoch unter Druck. Die Selbstbestimmungsinitiative bringt zusätzlich Unsicherheit. Die Schweiz kann von Partnerländern nicht erwarten, dass sie einen Investitionsschutz nach internationalen Regeln akzeptieren, wenn sie gleichzeitig signalisiert, dass sie dem nationalen Recht stets den (fast) bedingungslosen Vorrang einräumt. Dieser negative Effekt tritt bereits weit vor einer allfälligen Kündigung eines Abkommens ein. Das Fundament für den Handel und den Schutz von Investitionen wird damit durch Treibsand ersetzt. 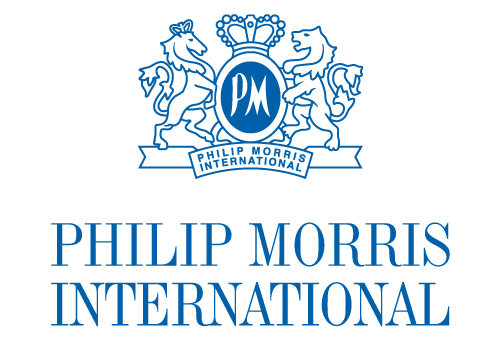 ICC Switzerland regularly offers opportunities to discuss topics of current business interest. The last Chairman's Lunch took place at Restaurant "Belvoirpark", in Zurich, on 14 November 2018. 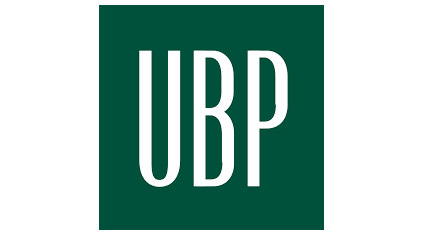 All participants could enjoy a clear and exhaustive analysis on the US mid-term elections with Robert J. Giuffra, Jr., Partner Sullivan & Cromwell, New York, and Chairman of the American Swiss Foundation. Die Initianten der Selbstbestimmungsinitiative behaupten, dass die Wirtschaft von der Vorlage nicht negativ betroffen sei. Dies kann nicht ohne Widerspruch bleiben. In meiner Tätigkeit für Swiss Re und die Internationale Handelskammer (ICC) erlebe ich tagtäglich, wie wichtig stabile und berechenbare Beziehungen für eine funktionierende internationale Wirtschaft sind. 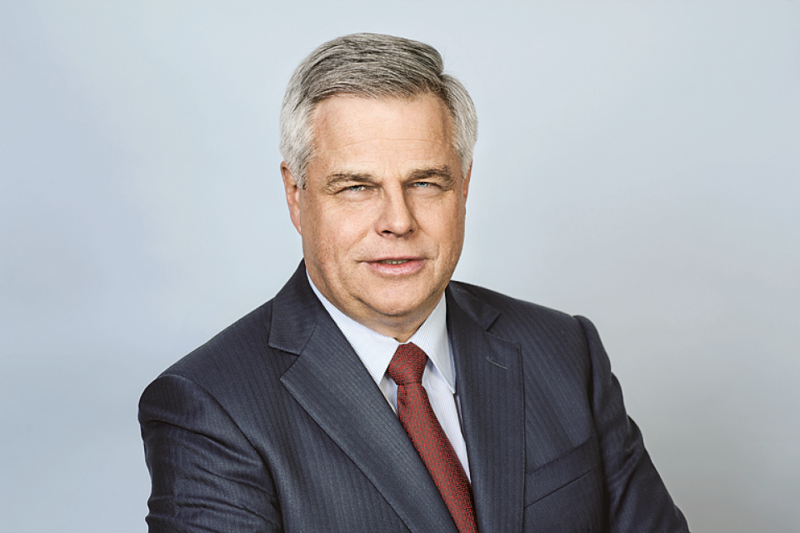 According to Thomas Wellauer, Chairman of ICC Switzerland and Group COO of Swiss Re, the “Self-Determination Initiative” (SDI) weakens Swiss companies abroad. An acceptance would be fatal for the Swiss export industry. Thomas Wellauer, according to SDI supporters, the survival of Swiss democracy is at stake on 25 November. Would you agree? No. Direct democracy is firmly anchored in Switzerland, nobody questions that. The Swiss people can already vote today on all important foreign policy decisions. The Swiss People’s Party (PP) is concealing what is really at stake in this radical proposal: The success of Switzerland as an export nation. 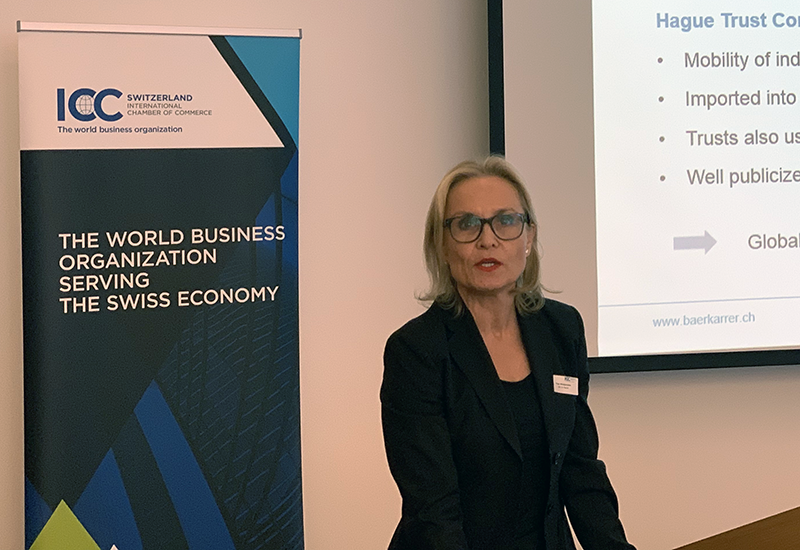 As the Swiss National Committee of the International Chamber of Commerce, we want to ensure that our companies continue to enjoy good conditions for their activities abroad. 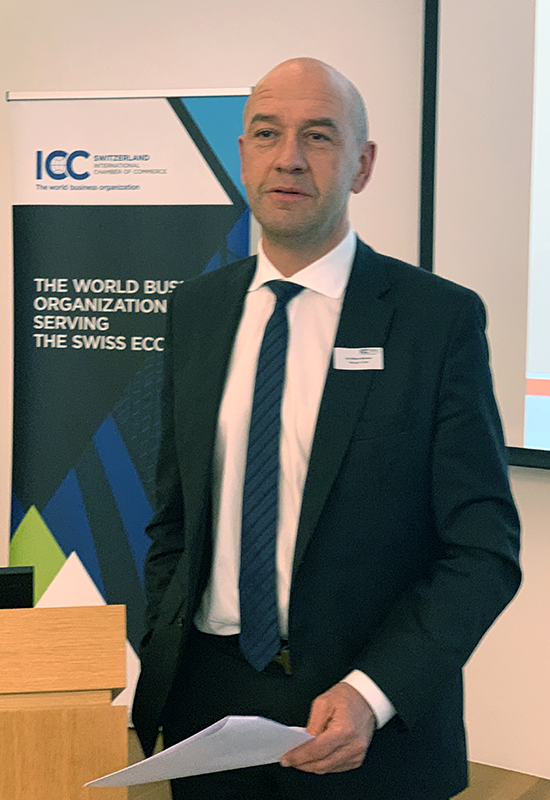 ICC Switzerland has a co-organized a seminar on «Trust and Arbitration», on which occasion the new 2018 ICC Clause on Trust and Arbitration have been launched. The event took place on 1st November at Bär & Karrer in Zurich. 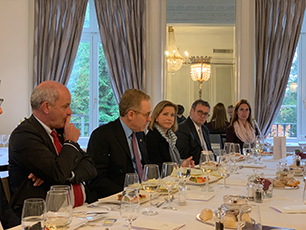 To stimulate and facilitate the exchange with international organisations and the respective diplomatic representations in Geneva, ICC Switzerland continues its Geneva Business Dialogue with a series of high-ranking roundtables. The third of such discussions, on the topic of extraterritoriality, took place on 1st October 2018. The topic was based on an ICC issue paper on extraterritoriality which has been adapted in order to put the issue back on the table. 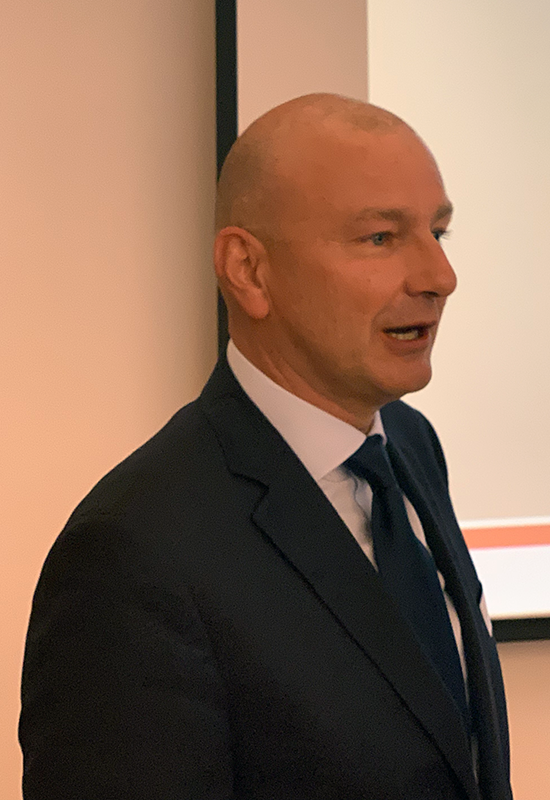 Matthias Audit, Chairman of the Working Group, introduced the discussion with the negative Impact of Extraterritorial Application of National Legal Norms on International Business Transactions. His speech was followed by a panel with companies. In the discussion, a multiplication of extraterritorial and protectionist measures worldwide were ascertained. It is no longer a single appearance. And this is why everyone will learn, since all are now on the receiving side. One member of the panel reminded us to look at history: usually national norms have multiplied first, afterwards bilateral agreements have been negotiated and as a last step a multilateral framework has been created. He is optimistic in view of a possible regulation of extraterritorial norms and is also of the opinion that a large part of the issue is not really Extraterritoriality, but rather a conflict between companies with a global reach due to economic globalization and states that are forcing their diverging views on those companies. 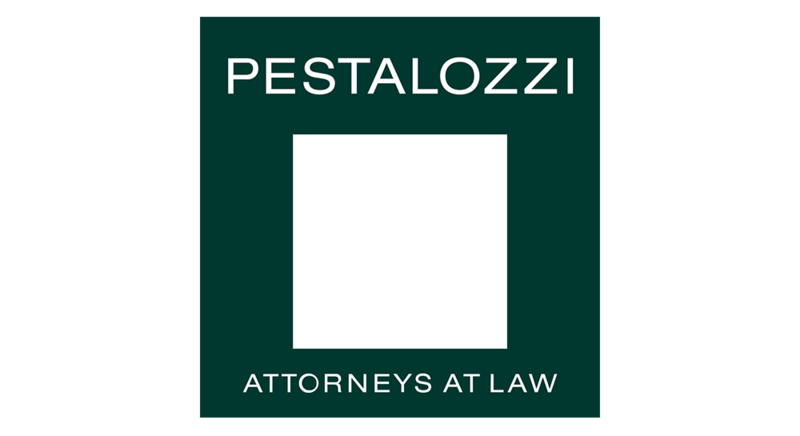 It is inevitable that more extraterritorial norms will be issued. But he also thinks that this will lead companies, facing those laws, to push their countries to act on them. Those countries are hopefully going to adopt a more converging solution. 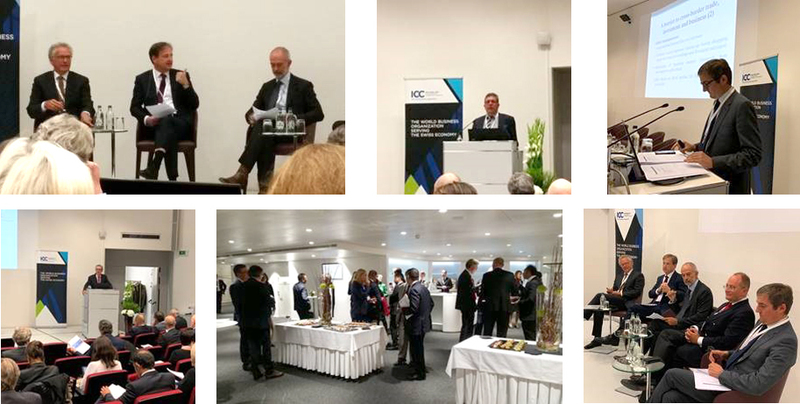 ICC Switzerland would like to thank Matthias Audit and the members of the panel: David Frick, Nestlé, Jean-Yves Art, Microsoft, Eric Seassaud, VINCI Construction Grands Projets and Nikolaus Schultz, ICC International, for the success of this event.